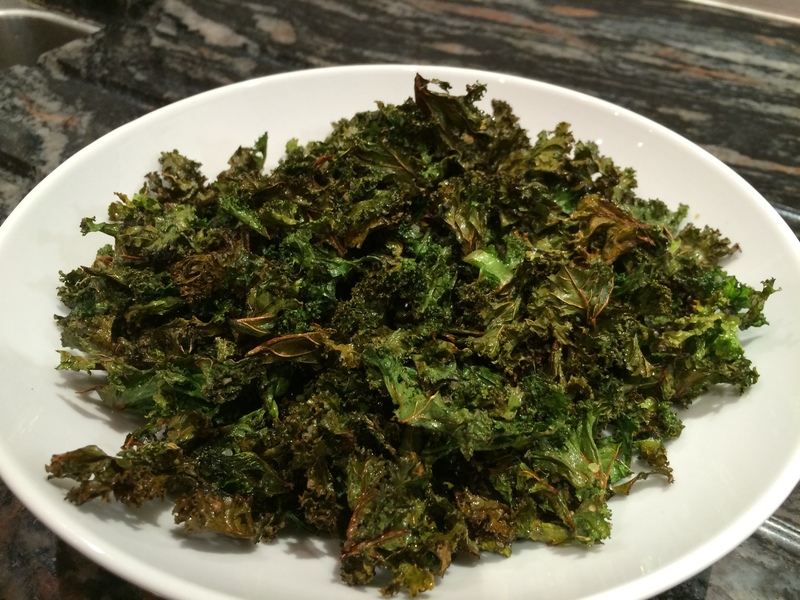 The other evening I was in one of those moods where I really wanted something to nibble and remembering I had half a bag of kale in the fridge, decided to quickly make some kale crisps. These crisps are so tasty and flavoursome that once you start nibbling them, they don’t last long and it’s a bit push ‘n shove between my husband and I as to who gets the last crisps. 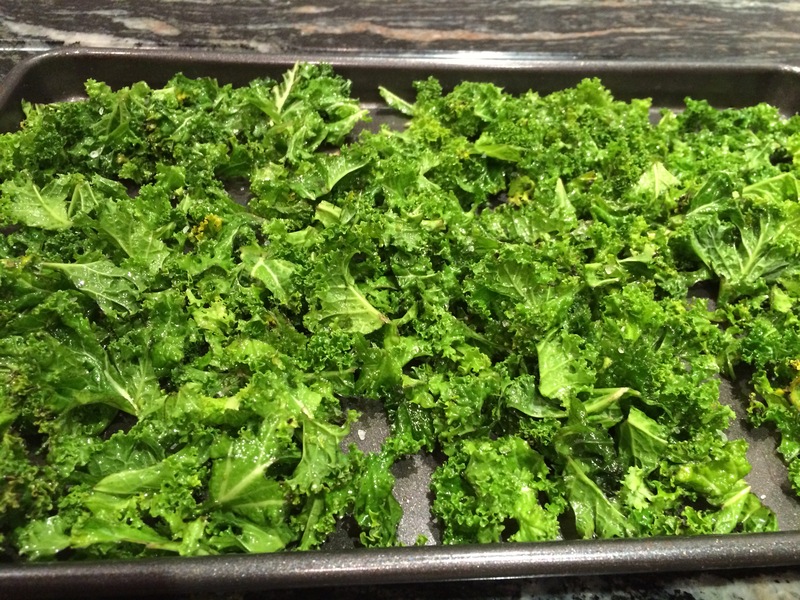 They are very quick and easy to make, taste delicious and kale is so good for you. Remove the thick stalks from the kale and tear any large leaves into smaller pieces. Using your hands, massage the kale with a good lug of olive oil and a good sprinkle of sea salt. Don’t use too much oil – just enough to help massage and for the salt to stick. Very roughly, about half a tablespoon for each baking tray of kale. Spread in a single layer on a baking sheet and bake for about 15 to 20 minutes until starting to brown at the edges, but not burn. There is no need to toss them. Leave to cool slightly for a couple of minutes before tucking in. Enjoy. To make a change, sprinkle with a little garam masala or chilli powder before cooking to spice things up. This entry was posted in Miscellany, Sweets and Treats, Vegetables and tagged Crisps, Gluten Free, Healthy Eating, Kale, Snacks, Vegetables, Vegetarian, Wheat-Free. Bookmark the permalink.